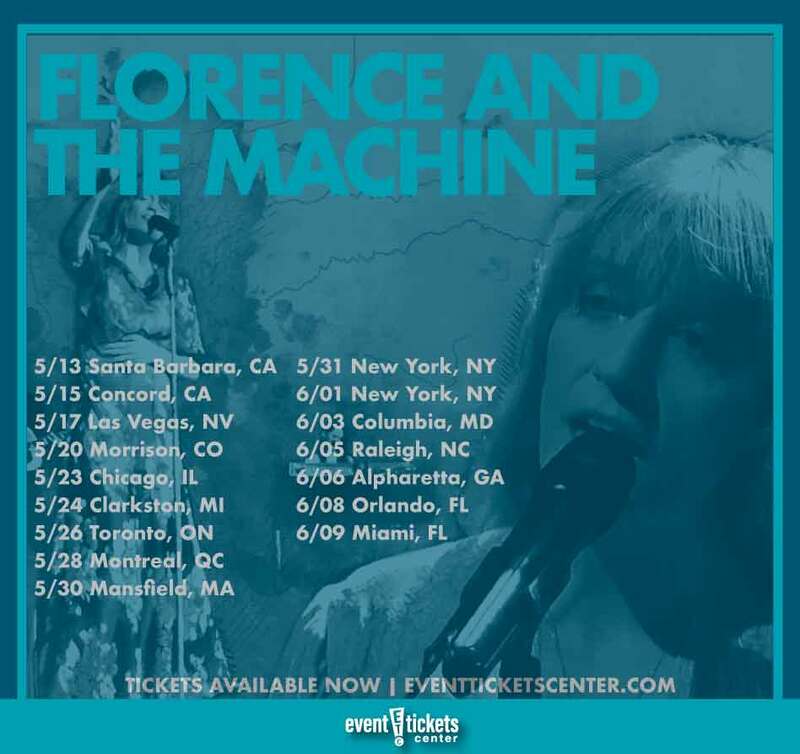 Florence + the Machine have revealed plans for an all-new North American tour, set to take the indie rockers coast-to-coast this summer! The 17-date “High as Hope Tour” kicks off May 10 in Mayer, AZ and will go on to make stops in cities like Las Vegas, Chicago, Mansfield, and Raleigh. A final performance at Miami's AmericanAirlines Arena will bring the curtain down on June 9. The upcoming run of shows also includes a pit stop in NYC, where the band is scheduled to headline the Governors Ball on June 1st. They’ll be joined by a killer group of supporting acts for various dates along the way, including appearances by Christine and the Queens, Blood Orange, Nathaniel Rateliff and The Night Sweats, and Perfume Genius. Florence and the Machine recently released two new tracks, “Moderation” and “Haunted House,” their first new music since High as Hope arrived in June 2018.
Who is Florence and the Machine? 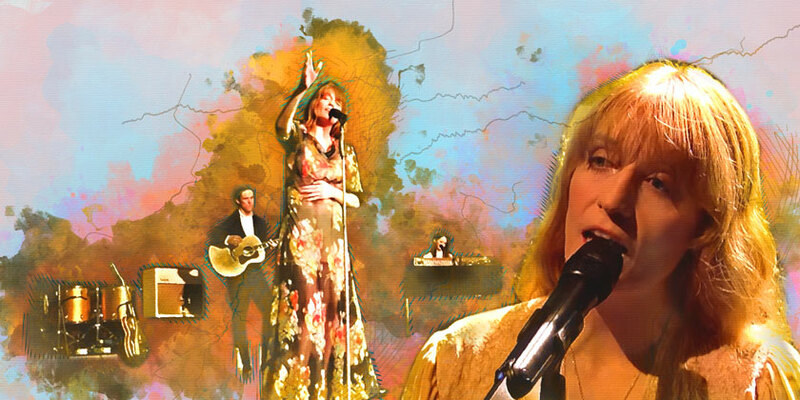 Florence and the Machine emerged from South London in 2007, quickly capturing the attention of fans across the globe with their incomparable blend of Baroque pop, folk, and their inventive take on alternative rock. Led by founding members Florence Welch and Isabella “Machine” Summers, the group broke through into the mainstream on the strength of platinum singles “Dog Days Are Over,” “You’ve Got the Love,” and “Shake It Out” from their debut album Lungs in 2009. The sophomore album Ceremonials followed in 2011, maintaining their status at the top of the charts in the UK and aiding in their steady climb to popularity in the US. How Big, How Blue, How Beautiful hit shelves a few years later, becoming a massive worldwide hit in 2015. The album topped the charts in the UK and became their first number one release in the US. How Big, How Blue, How Beautiful reached the number one spot in a total of eight countries, breaking the top ten in twenty others. High As Hope arrived in the summer of 2018, featuring a more stripped down, minimalist sound in comparison to their previous releases. The album received wide spread critical acclaim, with many critics praising Welch’s powerhouse vocals and personal lyricism. Florence and the Machine has been described by critics as a combination of several genres, notably including rock and soul. The group has earned six Grammy nominations and has taken home a Brit Award for Best British Album in 2010 for Lungs. Where are Florence and the Machine playing near me?